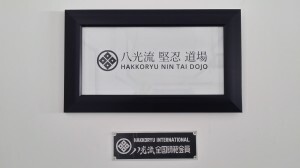 The Hakkoryu Nintai Dojo offers personalized instruction in Hakkoryu Jujutsu, a traditional form of Japanese juijitsu and the Koho Shiatsu method of acupressure. The dojo has been in operation since 2007 and was formally established as a registered Hakkoryu dojo (#48090) with the Hombu Dojo in Omiya, Japan on October 1, 2013. It remains active and in good standing today. The head instructor is Menkyo Kaiden Shihan Sandaikichu Joseph Adornato who has been involved in the martial arts since 1973. He studied various style of jujitsu and achieved dan ranking in these other martial arts. In 2002, Shihan Adornato began his study of Hakkoryu Jujutsu and trained directly under Nidai Soke Ryuho Okuyama . Hakkoryu Nintai Dojo offers a highly structured program that allows one to develop self-protection methods requiring no strength and resulting in no injury to the attacker, unless necessary. 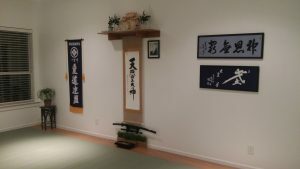 In addition to teaching self-defense principles, Hakkoryu Nintai Dojo also strives to promote self-improvement, better health, and inner discipline partially attained through an understanding of Koho Shiatsu. The word “Nintai” means pursuing life’s ideas, challenges, and dreams with the utmost patience, perseverance, and endurance. It means persisting or remaining constant to a purpose, idea, or task in the face of obstacles or discouragement. It is in this vain that we all train at Hakkoryu Nintai Dojo. Shihan Adornato considers it an honor to share his knowledge of Hakkoryu Jujutsu and Koho Shiatsu with his dedicated students and welcomes those who have the desire to pursue an understanding of this unique martial art to join our dojo family. A variety of rental car services are available at the airport as well. Feel free to explore other transportation options on your own.